Actor Matthew McConaughey poses for a portrait at the "Mud" screening at the 2013 SXSW Music, Film + Interactive Festival at the Paramount Theatre on March 10, 2013 in Austin, Texas. 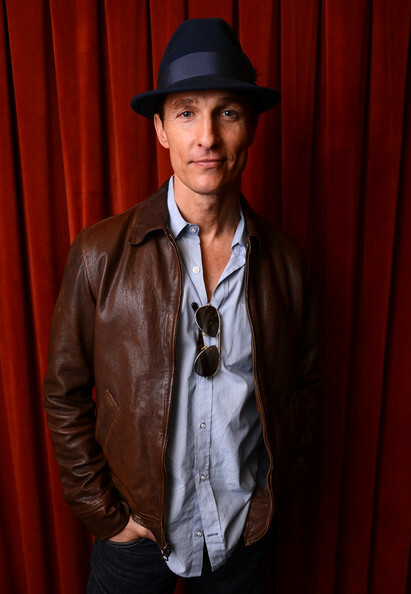 Matthew McConaughey opted for a classic brown leather jacket for his red carpet look at 'Mud' at SXSW 2013. Matthew McConaughey dressed up his casual red carpet look with a navy fedora.